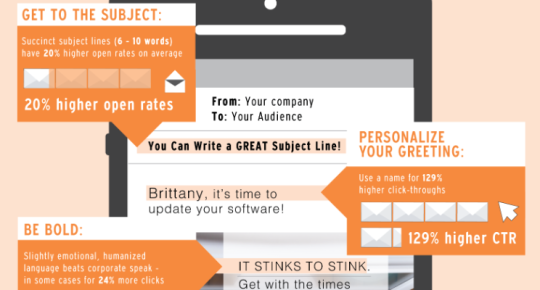 Many people ask, what is the best day and time to execute an email campaign? Instead of trying to get the best day and time to execute an email marketing campaign, I would instead focus on developing compelling content that includes visuals. 1) What message do I want to send? 2) What action do I want my customers and prospects to take? 3) Is the content of my message relevant to my customers? 4) Will customers see the email campaign as a value message or just another solicitation? For example, I write a blog on the topics of sales, marketing and social media. My readers can choose to follow me through my RSS feed, through email, Wordpress,Tumblr, LinkedIn, and Facebook. I use my blog to do my email marketing. As you can see my blog is seen by those whore receive it through email and the other ways I mentioned as a value message. In fact, when you enter your email address to subscribe to my blog, you will receive a confirmation email. This is known as an opt-in. It is important to note that when building an email list that you get the recipients consent through an opt-in. If you are building a list from your website you can use services such as Constant Contact. When executing an email campaign, make sure to protect the privacy your customers by blind copying them. When the customer receives the email, it should say sent to undisclosed recipients. To answer the original question, I would say that any day and time is a great day to engage consumers through email marketing; especially in today’s digital world. Consumers are on different schedules and have different needs so it is hard to predict which day would be best to send out emails. If you wanted to obtain concrete data on which day would be best to email consumers. You would need to develop and implement a survey that asks consumers what day they opened and received your messages. If at first you get a low response rate to your survey, you may need to offer an incentive like a gift card for each completed survey or a chance to win a gift card in a drawing; this would be dependent on your budget.